So Lonely in Gorgeous: It's Better to be Fashionably Late Than on Time. With That Said, Here's My New Year's Eve Look! It's Better to be Fashionably Late Than on Time. With That Said, Here's My New Year's Eve Look! Last summer, I purchased Chanel's Bombay Express de Chanel, and knew I wanted to recreate the beautiful Indian-inspired looks from the Chanel Paris-Bombay Metiers d’Art Show for New Year's Eve. From left to right: 85 Mirifique Illusion d’Ombre, Routes des Indes de Chanel, Brume D’Or Joues Contraste, Empreinte Rouge Coco Shine. I was glad to see Brume D’Or released in the collection; first, I already owned it (translation, I don't have to shell out $43.00), and second, Brume D’Or is a stunning blush that needs to be introduced to the WORLD! Question: Do any of you other lovelies get a feeling of relief when a collection features an item/items that you already own? Or am I, and my pocket book, the only ones? Chanel Joues Contraste in Brume D’Or. Chanel Routes des Indes de Chanel. 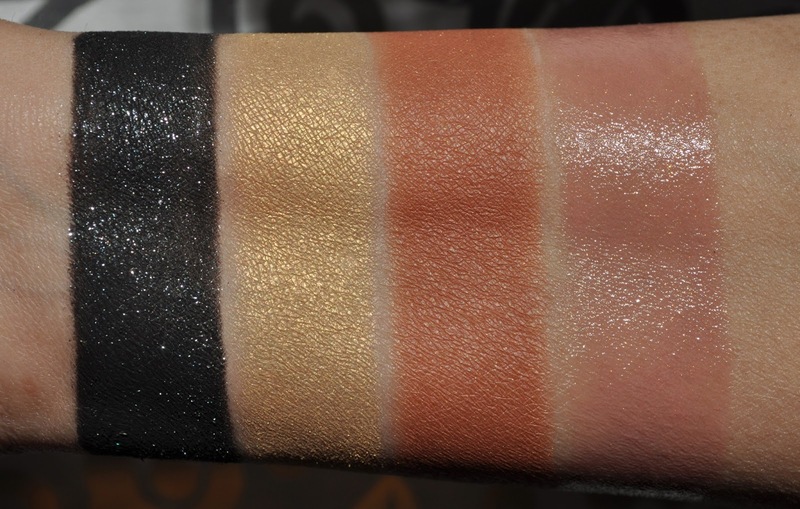 Chanel Joues Contraste in Brume D’Or (blended into the crease). 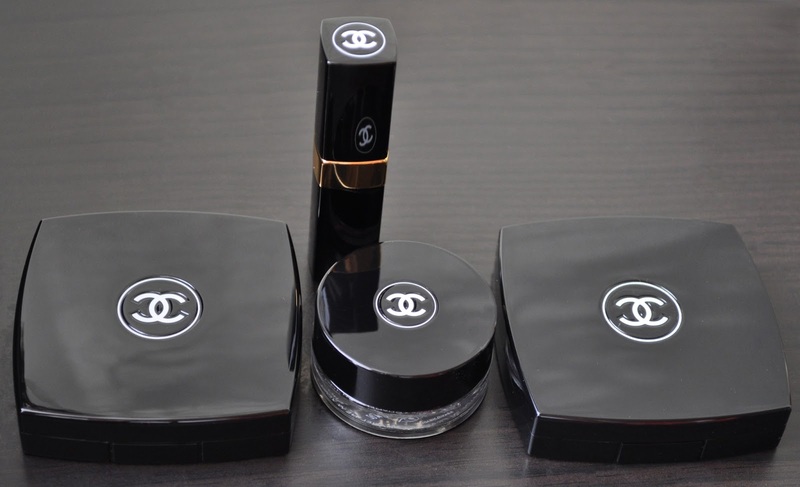 Chanel 85 Mirifique Illusion d’Ombre (on the lid, blended into the crease, and lower lashline). Stila Kajal Eye Liner in Onyx (used to tightline, line the inner corner and waterline). Red Cherry False Lashes #138. Mac Lip Pencil in Spice. Chanel Rouge Coco Shine in 437 Empreinte. You probably can't tell, but I cut 5 Inches off my hair and fringe...bad idea :( Thank god, my hair grows fast! One last photo before washing my face. What did you wear on New Year's? Also, did you buy anything from this collection? Thank you Natalie :) Mirifique is GORGEOUS, and a must! Gorgeous! 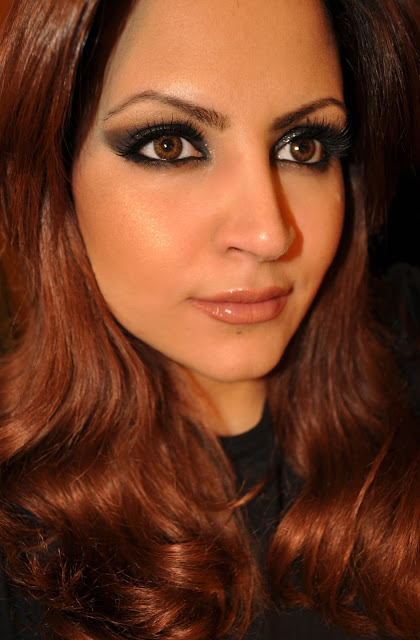 I love the smokey eye and neutral lips! as do I :) I had a lot of fun with this look. I think you may have convinced me that I need Mirifique. I've been slow to commit to any of the IdO shadows because I'm worried they'll look too frosty on my lids, but this one looks like it's more sparkle than frost. Have have to get Mirifique Kate! It's not frosty at all, Mirifique is what I wanted Mac's Black Tied to be, when I purchased it years ago. @Deborah * I'd been wanting to send a communication on the other hand can’t believe that it is on your own site. Are you able to you should get in touch? Such a pretty look! Love all the products you used. whether or not feel on-line generally or possibly a common 'bricks with mortar' stores as well as storehouses. ice pack gels, peanut butter, sorbets and even infants food in the. toss for their own review report.